Port Douglas – a magical underwater playground located just an hour’s drive north from Cairns in Queensland. A truly tropical paradise, Port Douglas is the only place on Earth where the Ocean meets the Land. Explore the underwater coral city of the Great Barrier Reef or discover the magical wilderness of the Daintree Rainforest. Be amused by the array of local wildlife or simply soak up the sun on one of the many sweeping beaches surrounding the area. Whatever you choose to do, Port Douglas will provide the perfect tropical holiday. Feel welcome at one of the hotels offered by AccorHotels and our partners in Port Douglas. 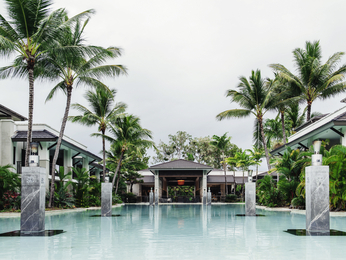 Discover our selection of luxury to budget hotels in Port Douglas for your next business trip, family holiday or weekend break.